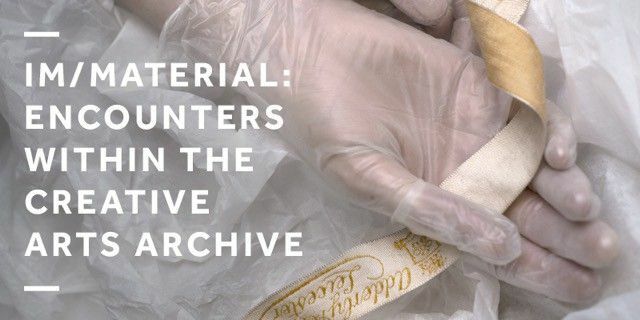 The conference Im/Material: Encounters within the Creative Arts Archive brings together UK and international archivists, artists, curators and academics to consider the role of the archive in the creation, interpretation and preservation of culture. The conference Im/Material: Encounters within the Creative Arts Archive brings together UK and international artists, archivists, curators and academics to consider the role of the archive in the creation, interpretation and preservation of culture. The event offers an exciting programme of talks, discussions, screenings, exhibitions and other immersive events which foreground archives and special collections within the creative arts.